The PrintAbles app is an app created by MakerBot for the iPhone and the iPad. 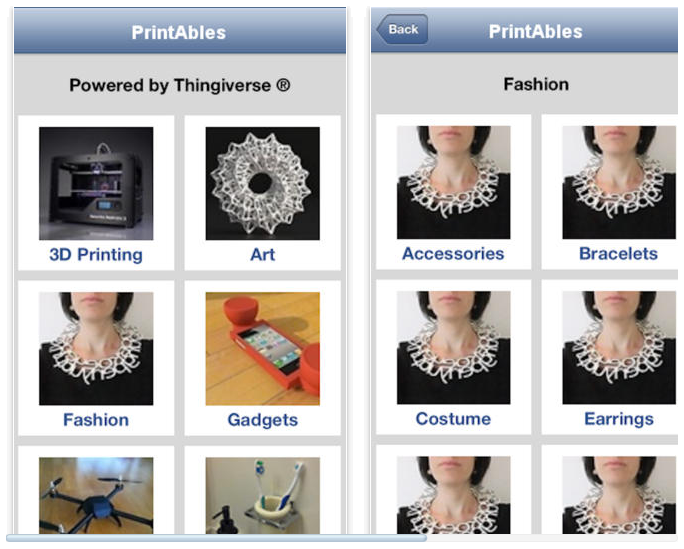 The PrintAbles app allows users to view STL files on Thingiverse. The PrintAbles app is compatible with iPhone 3GS, iPhone 4, iPhone 4S, iPhone 5, iPod touch (3rd generation), iPod touch (4th generation), iPod touch (5th generation) and iPad and requires iOS 6.0 or later. This app is optimized for iPhone 5.